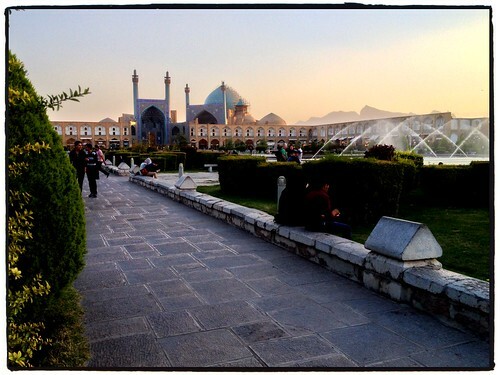 Naqsh-e Jahan Square in Esfa­han, a photo by tf_82 on Flickr. I’m pretty sure I posted a pic­ture of the world’s sec­ond largest square back in Jan­u­ary while we vis­ited Mex­ico City, but it seems that there is another world’s sec­ond largest square here in Iran. This entry was posted in Iran, Street Photos on 20 October, 2013 by Tim Fisher.